“Getting to Know” is an occasional series that introduces Arms Control Today readers to interesting people active in the world of arms control. Bonnie Jenkins is coordinator of threat reduction programs at the U.S. Department of State, which gives her one of the most diverse portfolios in the arms control field. She works on chemical, biological, radiological, and nuclear threats on a daily basis. 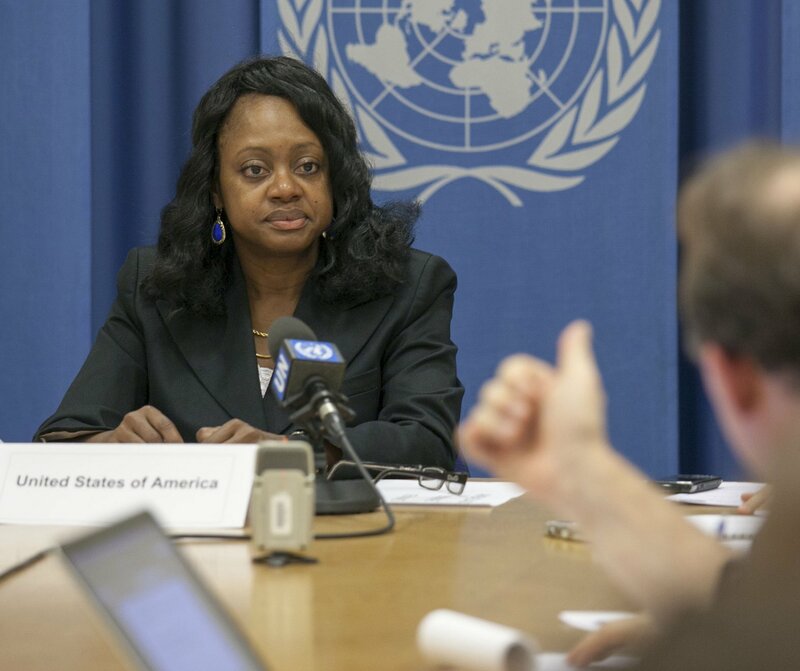 Arms Control Today spoke with her in her office in Washington on September 17. The interview, conducted by Jefferson Morley, has been edited for length and clarity. The Bronx, New York. I went to the Spence School in New York City. Then I went to Amherst College. I have two master’s degrees. One is in public administration, and one is in law, and I have a Ph.D. in international relations. I guess you could say I really liked school. What propelled you into arms control? An interest in government. I’ve always wanted to do government work, whether it was New York City or New York state, which is where I went to law school [at Albany Law School], and then to go into the federal government. I always wanted to be in Washington. But I really got into [arms control] totally by accident. I was a Presidential Management Intern. I was at one of my rotations at the Pentagon in their legal office. I went to a meeting with one of the lawyers, a backstopping meeting. The interagency [group of staffers] gets together and prepares talking points and detailed directions for those overseas who are actually negotiating the treaty [in question]. I was so fascinated. It just opened up a whole new world to me. I was in the reserves at the time. I was in the Air Force and switching to the Navy. [The work] was high level. I wanted to do things to help people and to improve life. It couldn’t get any higher than that in terms of being strategic, in terms of helping not just the United States, but also the global community. What’s the thing that you’ve been part of that you’re most proud of? I think the nuclear [security] summit [of 2012]. The process of having a vision and implementing it through the process of the interagency [discussions] and then being able to work internationally. For example, we had an agreement with Japan that moved a lot of the nuclear material out of the country. Are you by instinct and nature a scholar or a policymaker? I’m more of a scholar actually. My work is not as much policy as programs. I like to see action. I like to see results. When you do programs, you talk to countries. You talk about what they need, and you provide the funding. You see the results, and you really feel like you’re making a difference. That’s what gives me drive. Arms control is not an area where African-Americans are overrepresented. How do you think about that? When I see young African-Americans who are in this field, outside of the military side, then I try to encourage them to stay in it. It’s a challenge because [arms control] is not something that comes to mind as a natural thing [to do]. What do you say to young people thinking about a career in arms control? It really can be what you want to make of it. There’s a lot of different actors in this area, so you won’t get bored too fast. And, if you are lucky, you have a president who cares about it. If not, it’s not as much fun.